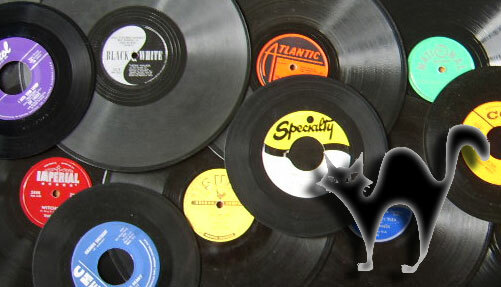 Prowlin' With Matt The Cat » Blog Archive » “Juke In The Back” To Debut WORLDWIDE over Voice Of America’s Music Mix Network! “Juke In The Back” To Debut WORLDWIDE over Voice Of America’s Music Mix Network! On Saturday, September 17, 2011, “Juke In The Back,” America’s weekly showcase for 1940s and ’50s Rhythm & Blues, will debut on Voice Of America’s Music Mix Network. The show will air at various times throughout Europe, Asia, Africa and Latin America. I’m very excited to see “Juke” expand this way, so now the rest of the world can be exposed to this often overlooked piece of America’s musical legacy. I produce “Juke In The Back” every week with no financial gain. The show has been building from the ground up for the past year and a half and I’m thrilled that it will soon be getting more exposure. If you wanted to hear rhythm & blues during the 1950s, you couldn’t get it from the juke box in the front. No, no! In order to hear that glorious, down and dirty R&B, you had to go to the low-lit, spit-shined “Juke In The Back.” These songs are the building blocks of rock n’ roll. These are the records that inspired Elvis and single-handily led to the rock n’ roll explosion of the mid-1950s. Big Joe Turner, Fats Domino, Little Richard, Ruth Brown, Ray Charles, Wynonie Harris, LaVern Baker, Roy Brown, Joe Liggins, Professor Longhair and many more take center stage on The Juke In The Back. Matt The Cat hosted a similar program on XM Satellite Radio called “Harlem” and now he brings this great music and information back to radio. “Juke In The Back” currently airs on over 20 radio stations in the US and will debut worldwide over Voice Of America’s Music Mix Network on Saturday, September 17, 2011. Contact Matt The Cat HERE.